Have you seen someone using their iPhone and noticed that they were speaking into the microphone, and their device was translating their speech into text? This occurs via a feature called Dictation. 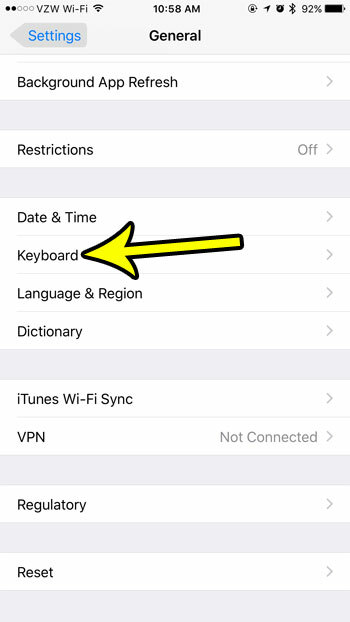 It’s a setting that you can enable for the device keyboard, and it will add a microphone next to the spacebar in apps that use the default iPhone keyboard. 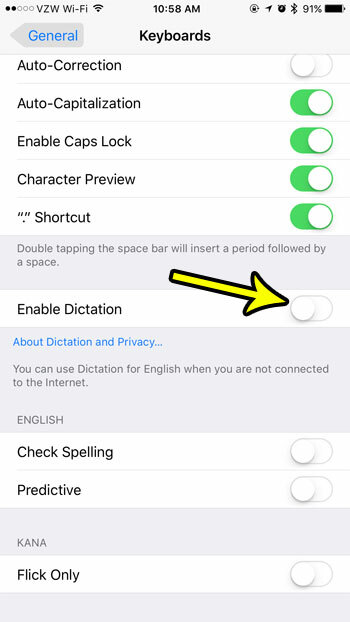 Our guide below will show you where to find and enable the dictation feature so that you can start using it on your iPhone, too. The steps in this article were performed on an iPhone 7 Plus in iOS 10.3.3. This guide assumes that dictation is currently disabled on your device, and that you would like to turn it on. Step 3: Scroll down and select the Keyboard button. 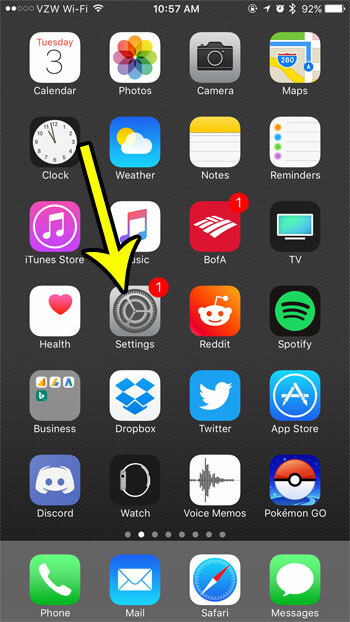 Step 4: Tap the button to the right of Enable Dictation. 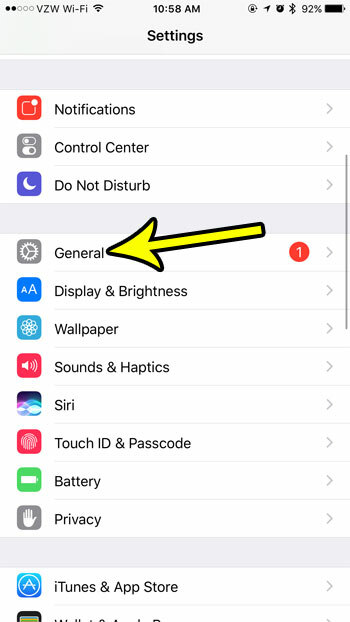 Step 5: Touch the Enable Dictation button at the bottom of the screen to confirm that you want to enable the feature, and that you understand that doing so will cause some information from your device to be shared with Apple. Is your iPhone 7 running out of storage space, which is preventing you from downloading new apps or installing an iOS update? Read about some ways to free up iPhone storage so that you can continue using the device in the manner that you would like.